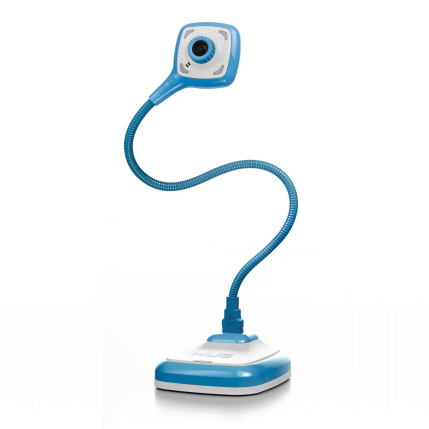 We desperately want a visualiser for each of our classes to enhance pupils' learning. We are a small inclusive school in the heart of the East End of London, just off Brick Lane. Our wonderful pupils are predominantly EAL learners, with 90% of our children speaking English as an additional language. We are excited to be developing our provision for Special Educational Needs to meet the needs of children with visual impairment. We are currently in the process of developing an exciting new curriculum which reflects the needs of our children. Our new curriculum drivers are 'communication' and 'learning through experience'. We believe that these drivers will enable us to overcome the challenges our pupils face and support them "To be the best they can be". Our school is at an exciting point developmentally, we have just one big challenge: finding the funds to do what we need to do to provide the very best for our children! We want to purchase one HUE pro visualiser per class. Our aim is for each class to have a visualiser from nursery up to Year 6 (8 classes). They will be able to be used to support learning right across the curriculum. This will allow our children to visualise anything and everything. Anything that needs demonstrating; anything that needs showing; anything that needs sharing. We will be able to convert all things non-digital into a digital format, which we can then manipulate, save and share like any other digital image. Children will be able to explore objects close up, present learning to their peers - developing their communication skills - and we will be able to provide enlarged images for our new group of pupils with visual impairments.